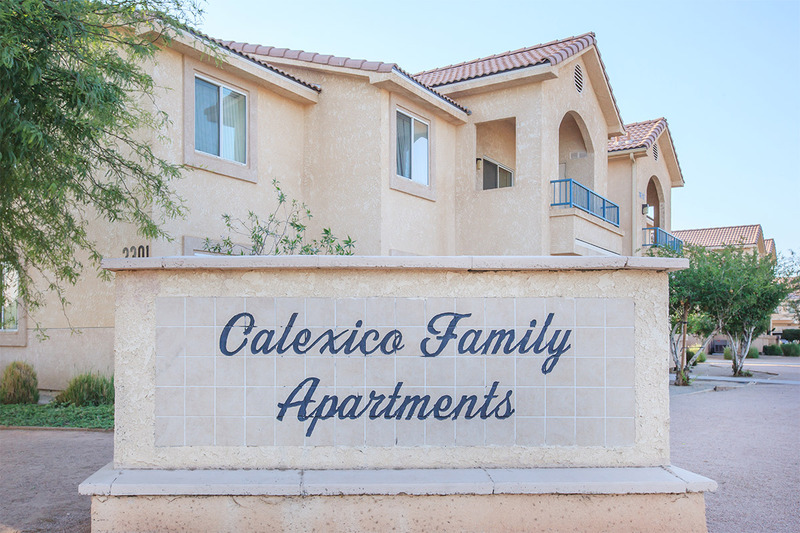 Welcome to Calexico Family Apartments. We have an optimized screen reader version of this site available. Our goal at Calexico Family Apartments is to make our residents smile. And, it's easy to do because Calexico Family Apartments features a wide selection of 1, 2 and 3-bedroom floor plans and lots of amenities, including an all-electric kitchen, balcony or patio, cable or satellite ready, dishwasher, microwave and walk-in closets. Great floor plans and amenities are just part of our story. Our community amenities offer beautiful landscaping, children's play area, covered parking, laundry facility and picnic area with barbecue. So come tour our community or give us a call and see for yourself why Calexico Family Apartments is the picture-perfect place to call home.